AE101 93' from the Philippines. Looks sporty eh'? i just cant figure out what would look good with the body color..
Gorgeous colour scheme if you ask me, especially the first two! Just a wee bit more 'low' on you'rs with this colour scheme, mmmmmmmm! So, guys.. I am planning to do an engine swap.. I currently have a 2E for now and my choices so far is a 4EFE (1300) or 4AFE (1600?)... any comments on this? I have owned a 4AFE and they are great motors. Only real trouble I had with it was it burnt oil like noones business after it hit 200,000 k's.. Really great econo-box though, haha! Although, if you are wanting to do an engine conversion to a 1600 engine, why not go to a 4AGE silver top or black top? Would be just as much mucking around as doing a 4AFE swap I would imagine and much more gain in performance (like I said, I have owned a 4AFE and currently own a silvertop 4AGE as my daily and a blacktop 4AGE as my weekend blast ). There is no comparing a 4AFE to any of the 20v 4AGE motors. these three things are what i am looking for an engine swap. All of the 4AGE 20v motors tick them boxes! He mean's all the 4AGE motors provide Fuel Economy, Performance and are Quality. And truly, they are. 4AGE 20v Motors (as in the 4AGE Silvertop or Blacktop). There are other 4AGE engines that aren't 20v that can be found in older Toyota's, such as the AE86 Levin/Trueno's which by factory carry the 4AGE 16v engines. -Definitely perform for a 1600cc engine and is in a class ahead of the 4AFE. -Quality is great as we all know, just like any other retro Toyota motor. I don't have any excessive oil burning with my 4AGE's that I did with my 4AFE. My Silvertop burns a wee bit but nothing to worry about (she has done 216,000k's keep in mind). Maintenance.. is it expensive to maintain a silver top? cause if i were to choose between a silver top vs. black top.. i'd go for silver top! Fuel usage differences are barely noticeable from 4AFE to a 4AGE. Both really economical. Just like any engine ever produced by any company lol, just typical maintenance for a 4AGE engine. Silvertop v Blacktop. It really depends on what you'r long term goals are with the build and what sort of $$ you want to spend. -Hands down, the blacktop performs better than the silvertop from factory standards, ie, no mods. -If you plan to modify with serious performance enhancing mods, silvertop is the way to go as the silvertop has a few stronger internal parts such as rods and crank. The beauty of these differences is you can easily mix and match the better aspects of the 20v 4AGE's to build a 4AGE to you'r specifications. An example of this would be running the rods from a silvertop in a blacktop as they are much stronger, or running a factory manifold from a blacktop on a silvertop engine. Possibilities everywhere with the two! Hope this gives you a brief insight, definitely go out and do you'r research first of course. I've had a few Black tops, they are Toyota quality so they will run all day at the track and then drive home. Like ledge says if you want to stay standard go black top, bigger intake, bigger exhaust mani, lighter internals and the a MAP sensored so no AFM. You can have a lot fun in standard form, they are very quick and also good on gas, I found very little difference when i swapped out the 4afe to the BT. Yeah thats awesome info guys..
awesome indeed.. but i think as much as i would like to go for black top or silver, my budget wont go through right now . it's not that my 2e engine is dying out or something and of course i can wait and save up to get that.. but, if 4efe or 4afe is a good choice and could possibly last up to 5- 10 years plus if i could save more money because of the fuel efficiency.... then that would be worth the investment.. right? Thoughts on those two FE engines?? 4AFE and 4EFE are good, but performance wise, if you're lookin at a new engine, I would go with a 20v. If you wanna keep the car the way it is, then an FE obviously. But it also depends how long you plan on keeping the car, how much cash you wanna drop into it. It just gets harder and harder to decide what to do.. I guess I would still need some more info on this since especially im a newb at this. , keep the comments comin' guys.. i really really need and appreciate it! here are the choices now..
4EFE vs 4AGE(silvertop) "which is goinna take me a while before I can get a hold of this"
I'm also considering the weight of an ae101 to the power of the engine on how it would do for fuel consumption..
dont you mean 4E-FTE? the 1.3 turbo? With all your comments im more and more into 4age.. haha thanks guys.. now I'm fixed at possibly getting the 4age... ill post more info soon.. thanks a lot guys! 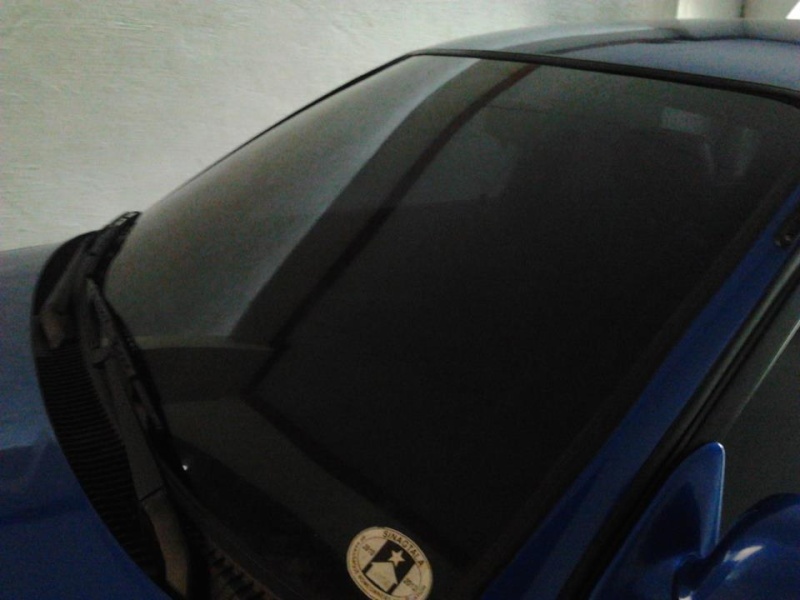 moving on with more updates..
and quality of tint is good so far.. i used 3m tint. you got the front screen tinted? Subject: Re: AE101 93' from the Philippines.